Air Process Technologies, Inc. provides innovative solutions for industrial emission control applications. We specialize in the more difficult applications involving high temperature, acid gas, metals and dioxin/furan emissions, and the stringent EPA requirements associated with these emissions. 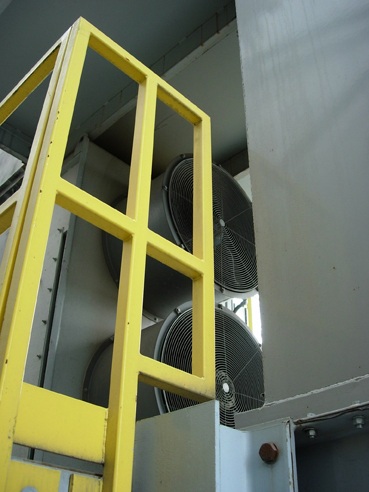 Air Process has over 30 years experience in the air pollution control industry, with emphasis in the secondary aluminum industry. We provide a wide range of equipment, from turn-key engineered systems to individual components to parts and upgrades for existing systems. We also provide consulting services for selected industries. Air Process Technologies, Inc. (APT) was incorporated in June of 1996. Our customer list includes Nichols Aluminum, Golden Aluminum Company, Aleris International, Inc., Custom Alloy Light Metals and others. Prior to forming APT, I served as VP of Engineering of Interel Environmental Technologies, Inc. from 1982 through 1996. Interel's primary market was dry scrubber/heat exchanger-fabric filter systems for waste incineration and metallurgical furnace applications. In total, APT has 30+ years experience in the application of dry reagent injection, gas-to-air heat exchanger and fabric filter systems for acid gas, dioxin/furan and particulate control. © 2013 Air Process Technologies, Inc.